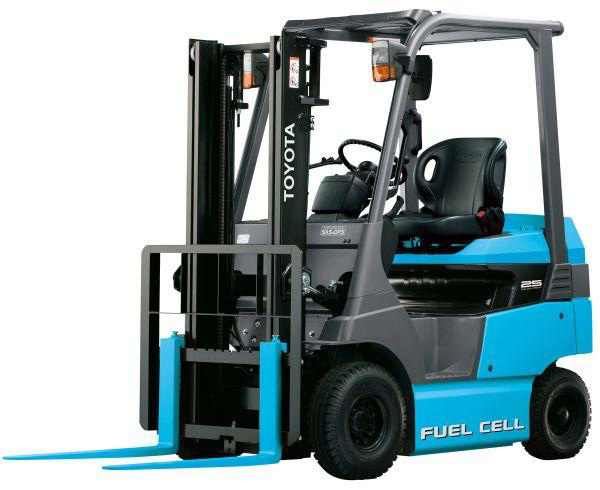 The Japanese group announces today that it has started using two fuel cell forklifts, which have been manufactured by Toyota Industries Corporation, at its Motomachi Plant located in Toyota City, Aichi Prefecture, since January 31, 2017. Fuel cell forklifts, which utilizes hydrogen to generate electricity, have excellent environmental performance as they do not emit CO2 or substances of concern (SOCs) during operation. They are also very convenient given that they can be refueled in approximately three minutes. Furthermore, with their ability to supply electricity, these fuel cell forklifts can serve as a source of power supply during emergencies. In order to reduce CO2 emissions from its plants, Toyota intends to replace existing conventional forklifts with fuel cell forklifts. This will start with the Motomachi Plant, with two units being adopted in 2017. It’s a joint initiative by the Ministry of the Environment, as well as the Ministry of Land, Infrastructure, Transport and Tourism in an effort to promote the use of fuel cells in industrial vehicles in order to realize a hydrogen society. They will be followed by about 20 units in 2018, and eventually, reaching the goal of 170 to 180 units by around 2020.